Chad and I drove down to Portland for a mini-vacation at McMenamins Edgefield. 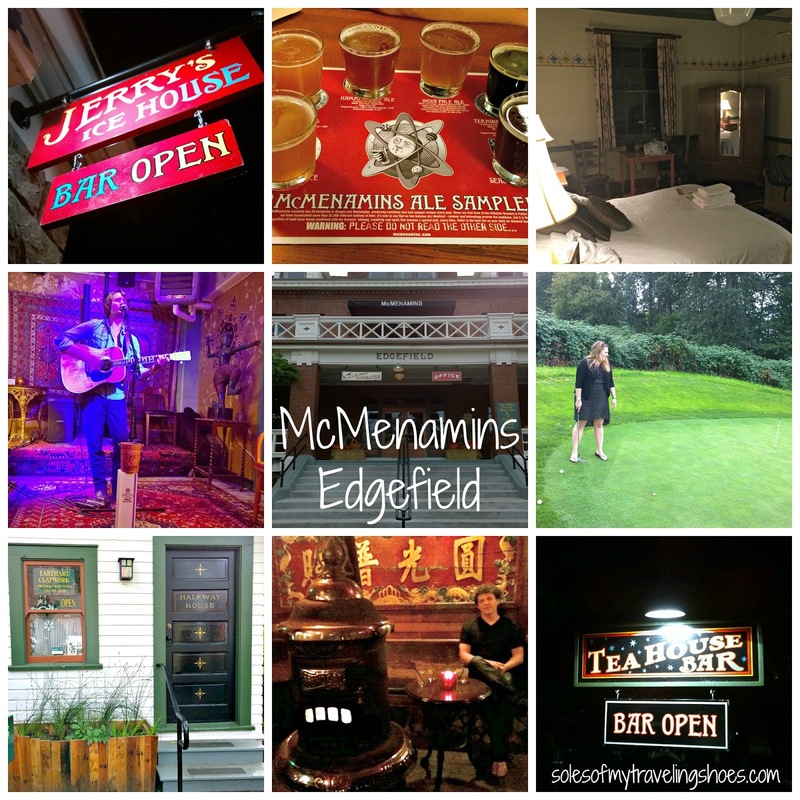 McMenamins Edgefield is a resort hotel converted from a 1911 farm with many different bars, restaurants, activities, soaking pool, etc. 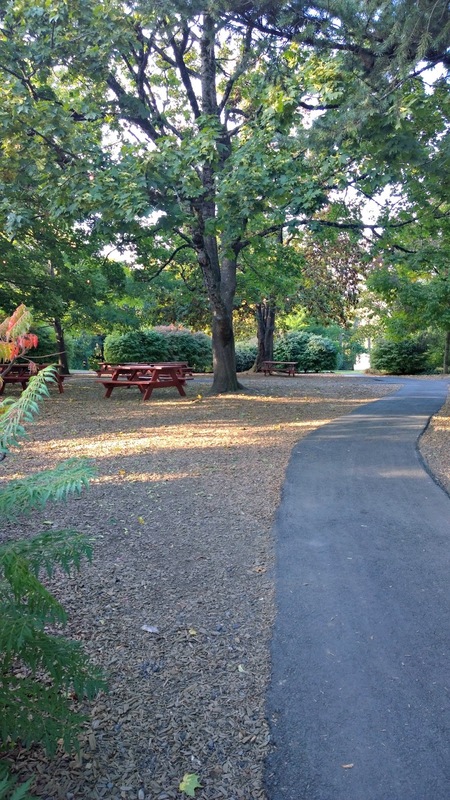 But when I say resort… well, it feels more like an adult summer camp (which is awesome, btw). 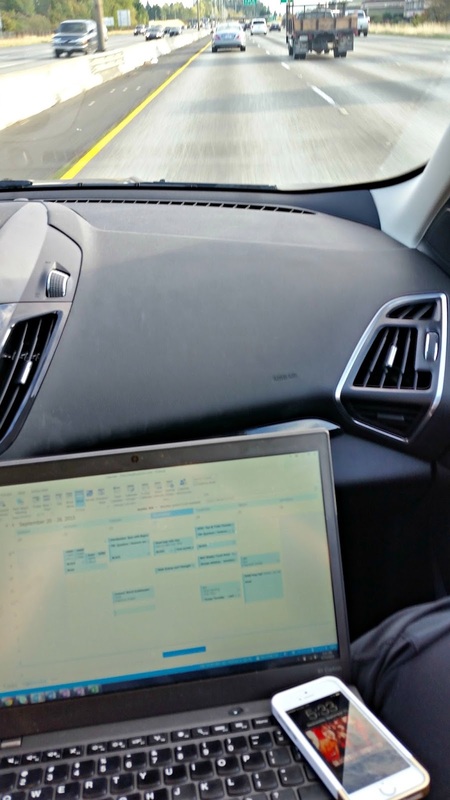 The Chinese President was in town, and I-5 was closed for about 30 minutes between Seattle and Tacoma, so by taking side roads for about 30 miles, it added quite a bit of time to our drive. 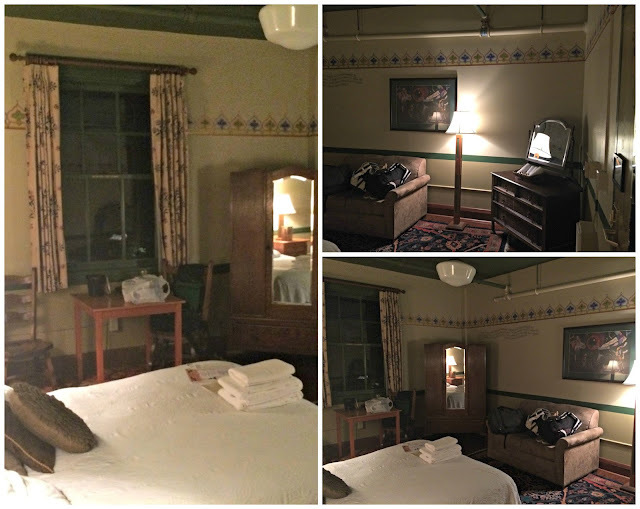 We finally arrived at McMenamins Edgefield around 8:30 p.m, and checked into our room. Our room was on the second floor, had a queen bed, and was quite quaint. 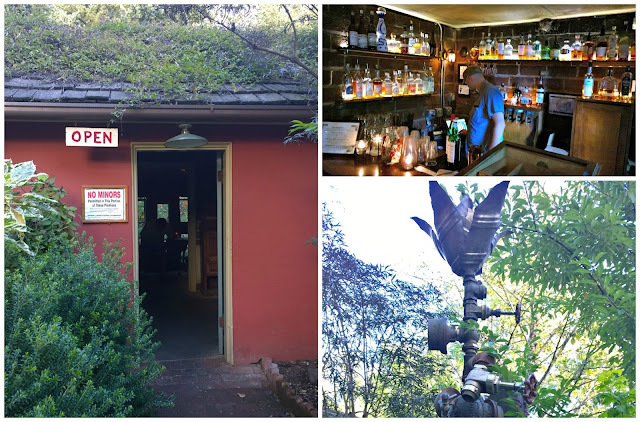 The rooms at Edgefield have no TV, or phones and most rooms don’t have bathrooms (it’s down the hall). Also, there were not a ton of places to plug in your electronics, so bringing an extension cord may be advised. The free wifi kind of works in the room, but is very strong in the common areas. We actually spent very little time inside the room, but I did kind of miss having my own bathroom attached the bedroom. The bathrooms were very close to the room, and each private stall had a shower, toilet and sink. There must have been enough stalls, because I never had to wait. 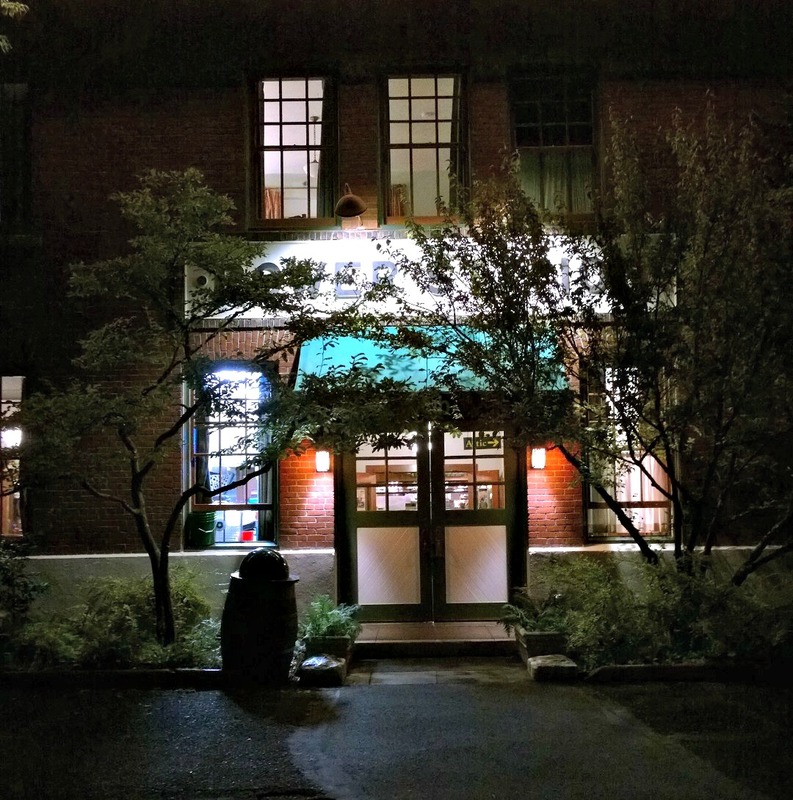 Chad said the men’s bathroom reminded him of a mental institution, which must be a popular assumption because on McMenamins FAQs, it clearly states this was a farm – not a mental institution.The pool closed at 11:00 p.m., so we wanted to make sure we got a dip before anything else. We quickly changed into our swimsuits, put our robes on, and walked a 5 minute walk to the soaking pool. 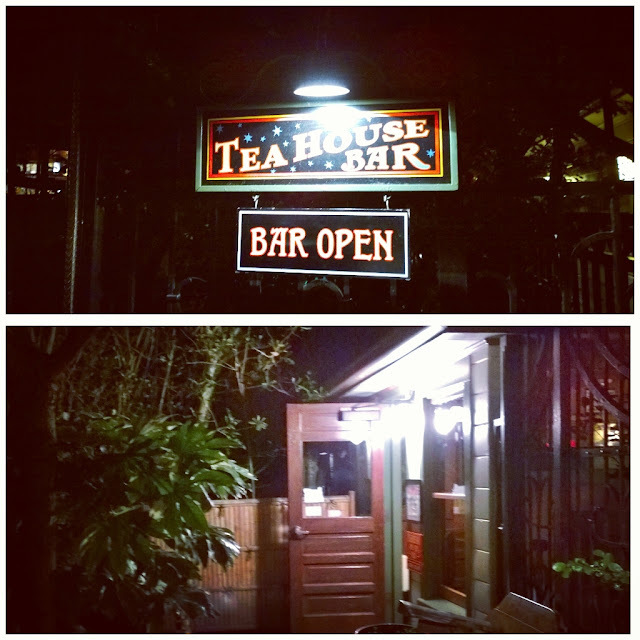 Attached to the pool is the Tea House bar, a tiny bar with a few seats and good cocktail options, and of course many Tea options. There is also a window on the back side to get drinks without leaving the pool gates. And, of course, they served our drinks in plastic cups to be poolside friendly. OK, the soaking pool, I cannot say enough good things about the pool. It’s heated to 102 degrees, and is salt water so it’s super buoyant. The pool is attached to Ruby’s Spa and is only for overnight hotel guests or spa guests. It’s open daily from 8:00 a.m. to 11:00 p.m. My pictures make the pool l ook scary, but definitely check out the website for more information on this amazing pool. McMenamins properties are known for their soaking pools, and the pool at the Edgefield is huge. There are open spaces if you want to swim a bit (though it’s probably only about 4 feet deep), benches to sit and rest, fountains to swim under, and little crevices to hide in if you want some privacy. We stayed in the pool for about an hour, enjoyed a few cocktails and relaxed after our extra long drive. After the soaking pool, we changed back into clothes and headed to the Power Station Pub to grab a bite to eat. The Power Station is open until 12:00 a.m. for food and drink, and they have happy hour in the evening. Also attached to the Power Station is the movie theater, but we didn’t happen to venture in there during our short trip. We did, however, have the beer sampler…which, of course, included a pumpkin beer. 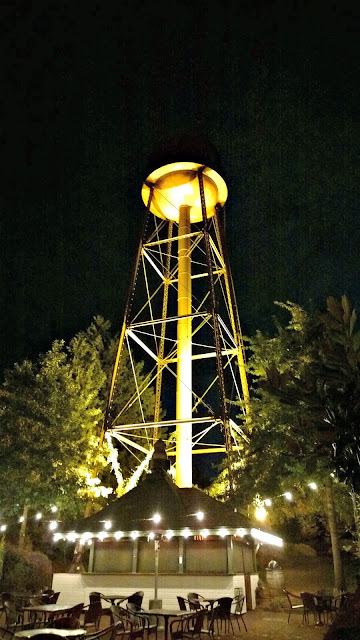 After Power Station we walked by the water tower, over to the Distillery (as it is open until 1:00 a.m.). It’s not too far of a walk, and you get to walk under the water tower at night to get there (the closed outdoor bar there is called the Loading Dock Grill and closes early). The Distillery was quite empty, considering it was the only place open that still serves alcohol. We grabbed our drinks (scotch for me, Chad went with a brandy) and sat next to a cozy wood burning stove. And we retired back to our room for some much needed sleep. But, I should say, that if you’re a light sleeper, you may want to talk to the desk about different room options. We could hear EVERYTHING. The guy above us snoring, the opening and closing of different rooms on our floor, people walking above us, outside the door, etc. It’s an old building, and to be expected, but if you’re a light sleeper – bring your earplugs. 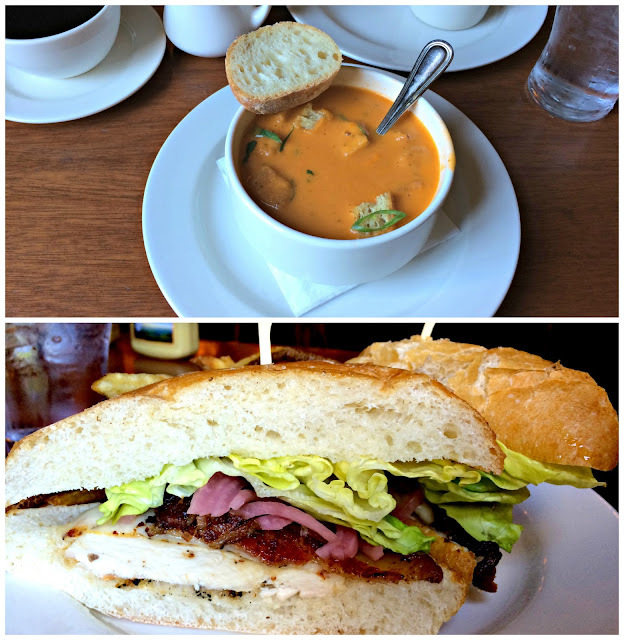 The next day I had to work, but I was able to escape for a quick lunch at the Black Rabbit Restaurant, where I had the tomato basil soup (delicious!) and a chicken sandwich. 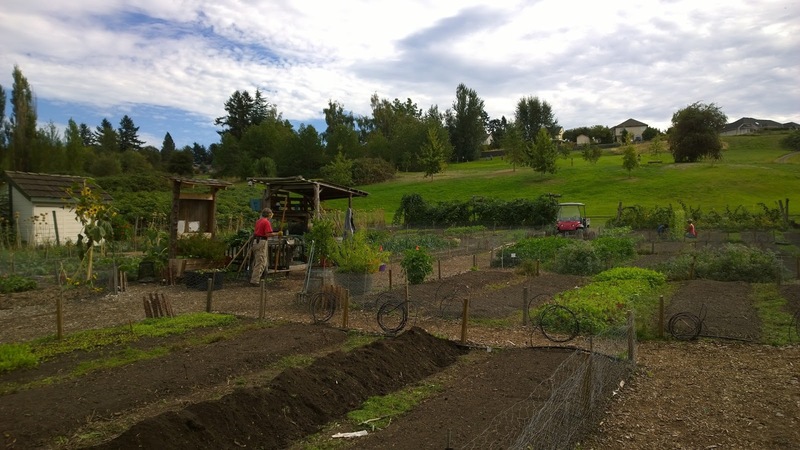 I kept working and Chad went out exploring by himself to get acquainted with the property. It wasn’t until quitting time that I finally got to enjoy my first beer, or in this case, cider. 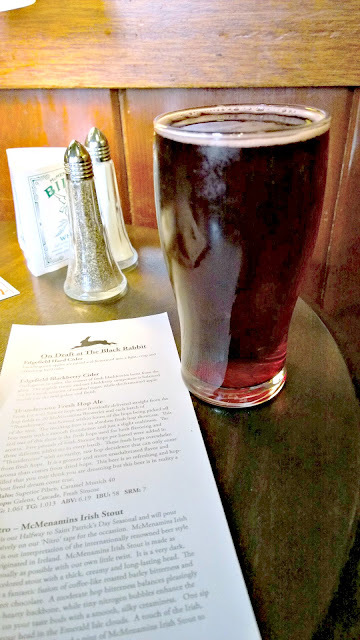 Actually, at the suggestion of our bartender, we mixed the Apple Cider with the Edgefield Blackberry Hard Cider. It was the perfect mix of dry and sweet. After grabbing our walking beverage (and yes, since it’s a private resort, you can take your drinks to go), we started exploring. First up was the Halfway House which now houses EarthArt Clayworks. Most things in the shop are made by the artist, Am Griswold. The shop has gifts like mugs, bowls, vases, and even larger items like firepits. Fun fact: this building used to act as the morgue for the farm! 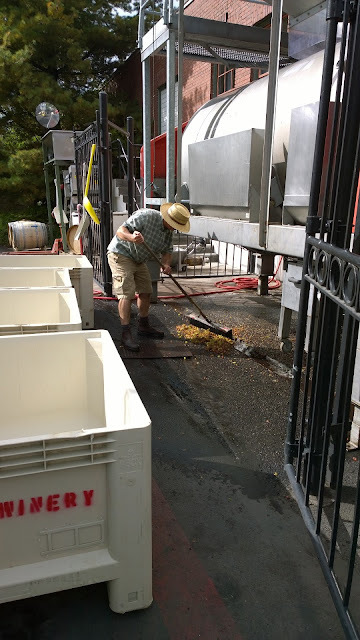 Then we moseyed over to watch the grapes being crusged. We also got an explanation from the man that was working in the area. This happens a lot – everyone on the farm is eager to explain to you what you’re seeing or what they are doing. Also, there were a LOT of bees in this area, but they were so happy with the grapes that they didn’t even care about us. Next we walked to the cannery and cold storage building, just to see what it was about. It’s where they bottle and house the beer kegs. Again, one of the men working inside gave us some insight into what they were doing in there. And we kept walking (at some point I think we grabbed another walking beer) and walked through the gardens. 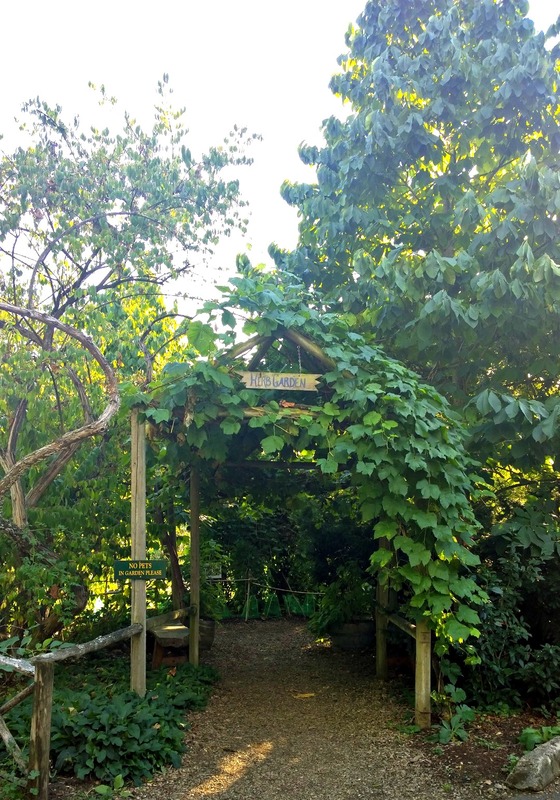 Edgefield has over 74 acres of gardens, and the food and herbs grown on the property is used by the restaurants on the property. Because we were here in the off-season, it was pretty much just Chad and I in a few of the gardens and it was a nice place to stop and talk, and relax for a moment. 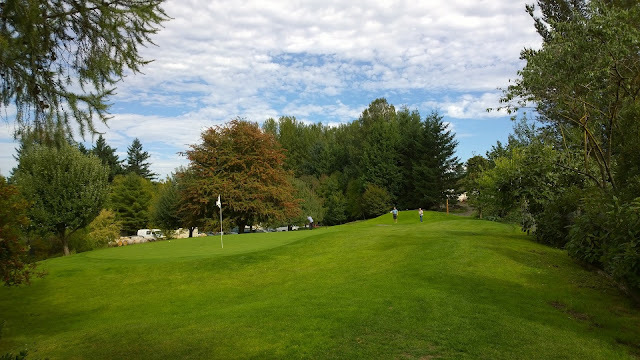 And we also walked to the golf course (there is a running path that is near the golf course, and we walked along that, too). We didn’t go too far into the course, but apparently it follows the Columbia River and provides for a beautiful back drop. 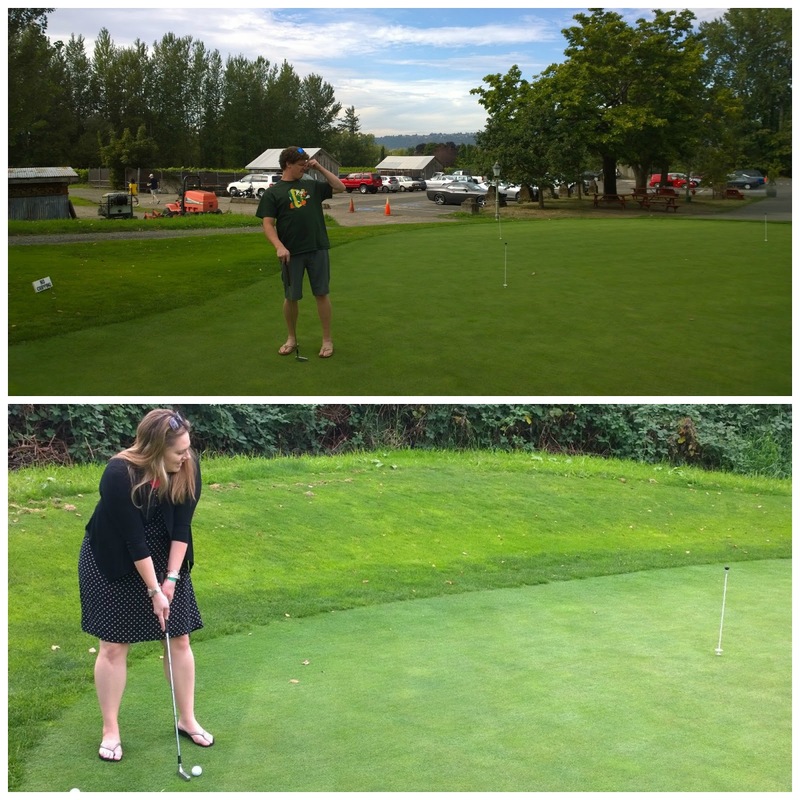 While we didn’t golf, per se, we did check out putters and golf balls for free at the Distillery Bar and played a version of HORSE, but with putters. We learned that both of us need to work on our short game. After golf, we headed to the Winery to do a tasting. We picked the white and rose flights, and went down the list. 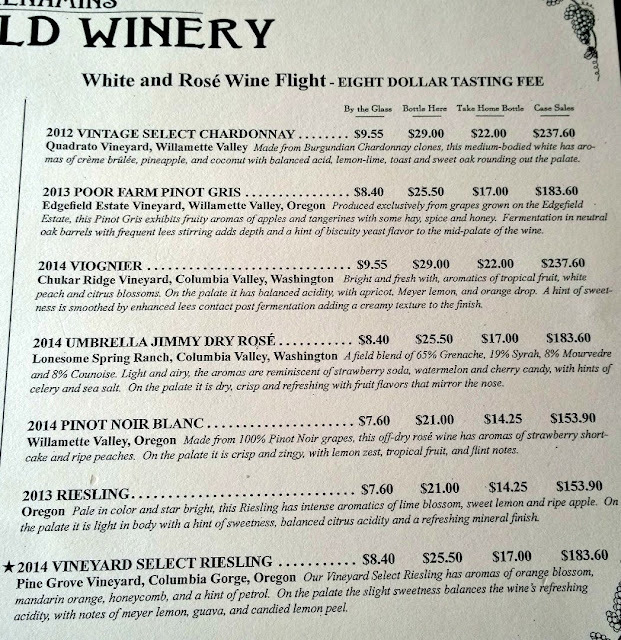 Well, I can say that Edgefield does not skimp on the tasting pours. It took us about an hour to get through our tasting, because we’re slow. But it was nice, it gave us a chance to mingle with other couples and meet fellow hotel guests. One funny thing, we were poured one of our wines out of order. Chad and I being the wine connoisseurs that we are, read the description and said, “Yeah, we can taste that.” Um, no, no we could not taste it because it was the wrong wine! After those flights, we were feeling pretty good. But, it was time for another walk. This time to the herb garden. Many of the restaurants on site actually use herbs from the garden and we sampled a few pieces of basil – and it was delicious. I feel like everywhere you turn there is something new to discover. After the walk through the gardens, we stumbled upon The Little Red Shed. This bar is tiny. 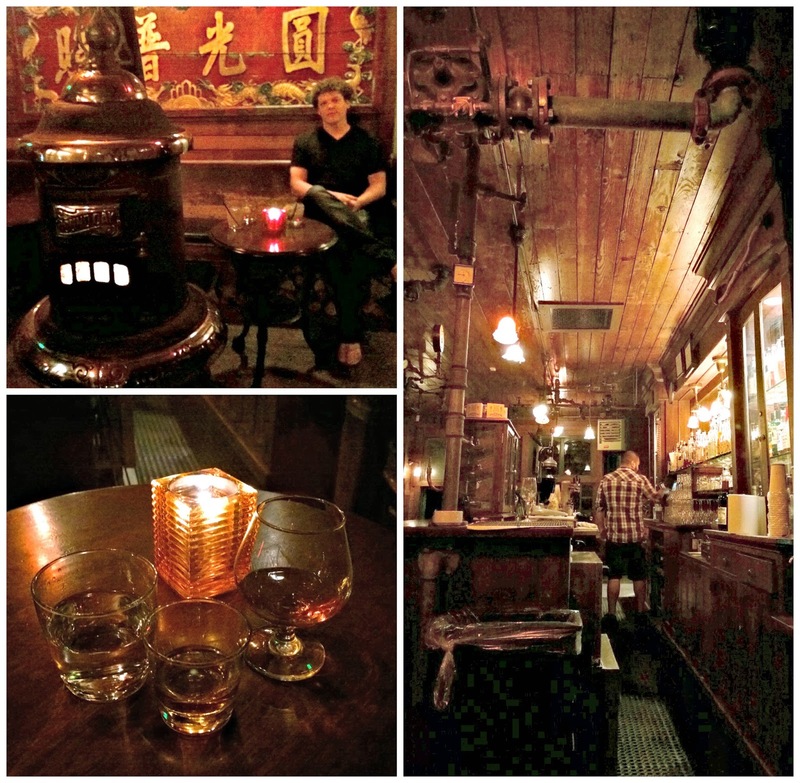 It holds about 10 people, and the back of the bar is an open patio and patrons were indulging in cigars. We had a cocktail here, and skipped sitting inside because it was a bit smokey, and opted for picnic tables under the alder trees. 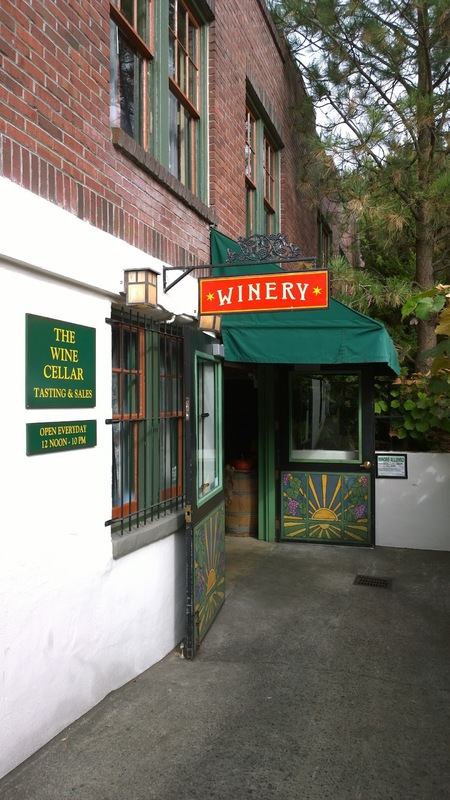 The winery has live music, and we decided to check it out. 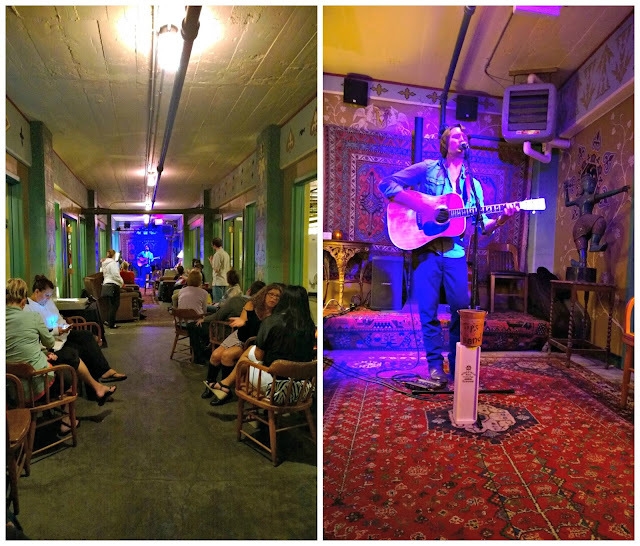 This particular night we were serenaded by Matthew Szlachetka. He’s a singer/songwriter from Los Angeles and he was pretty good, too! We stayed for a set, but it was getting to be a little after dinner time, and we were hungry. So, we ventured over to the Power Station Pub again for some dinner. I couldn’t tell you what, but we were so hungry and wanted to venture over to the soaking tub before bed. 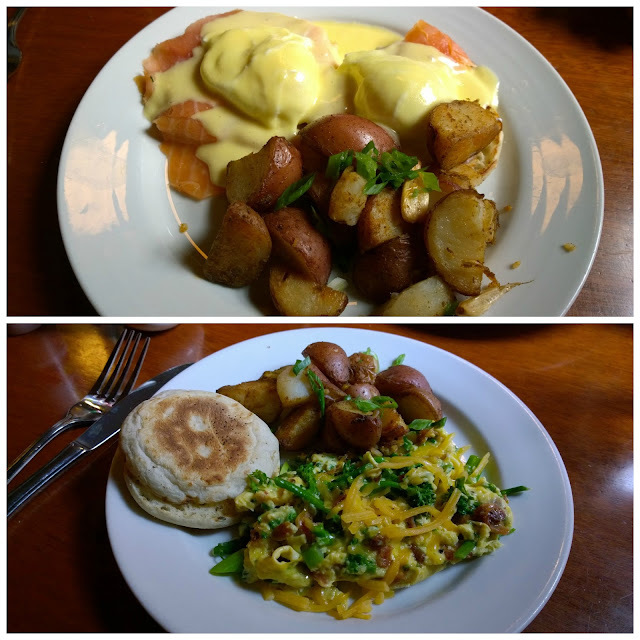 We fell asleep early – a day of playing at Edgefield will do that to you. And then we woke early to eat breakfast and get to our next hotel location (we were meeting family) before my work day (and Chad’s golf outing) started. One of the things I wish I had touched on more was the abundance of art at Edgefield. 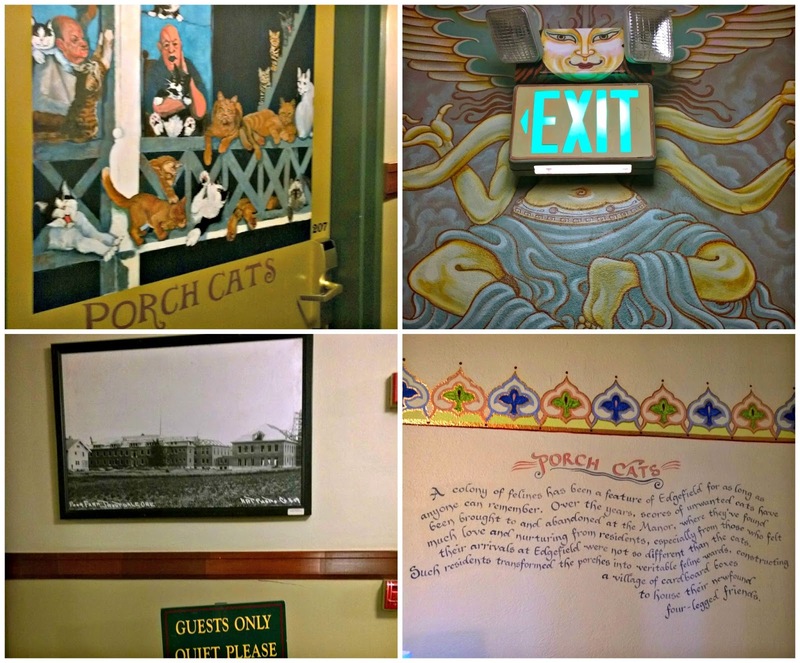 Not only were the rooms painted with different murals, but art was everywhere on the property. From paintings, to sculptures, etc. McMenamins Edgefield really did feel like an adult summer camp and we had so much fun exploring the grounds and taking part in all that was offered. We can’t wait for the McMenamins Anderson School to open in Bothell (North of Seattle) so we can take a quick overnight up there, too. 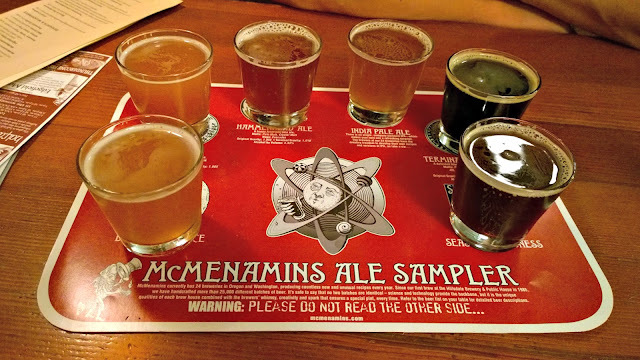 Have you visited a McMenamins property? If so, tell me what you loved (and maybe didn’t love). Let me know in the comments below, send me a Tweet, or comment on Facebook. I travel, write, photo, experience, learn. I'm a wanderlust addict and prefer the window seat. Recently relocated to the South (RDU) after nine years in Seattle, but still a Detroiter at heart. Next destination: wherever. Copyright © 2019 Soles of My Traveling Shoes.